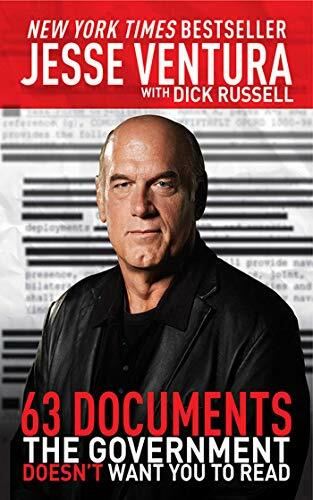 In that suit, "Governor Jesse Ventura, a/k/a James G. Janos … [sought] a declaration that the TSA [Transportation Security Administration] and DHS [Department of Homeland Security, the TSA's über-bureaucracy] have violated Ventura's Fourth Amendment rights by subjecting him to airport security searches." Mr. Ventura added, "It's really sad … [The judge] claimed her court didn't have jurisdiction. But this is a constitutional question…"
Actually, it isn't — at least to Our Rulers. And not just because they're evil tyrants who spit on the Constitution. They are and they do, but what Mr. Ventura bumped up against is monstrously worse, something far more dangerous, entrenched, and systemic. Yet it remains so incognito and unsuspected that our hero might want to investigate it for his series, Conspiracy Theory, on TruTV. You're undoubtedly more familiar with "administrative law" by its acronyms: IRS, BATF, DHS, DEA, SEC, FDA, FCC, FAA, TSA…in other words, bureaucrats. And yes, with their allergy to common sense, their ineptitude, and their unfathomable Jargon, bureaucrats are utterly worthless except as punch-lines. But they're also responsible for most of the despotism smothering us, with scads of legal triumphs and precedents fortifying their dictatorship. Bureaucracies have cursed Americans since the nation's birth; one even enjoys Constitutional imprimatur. The Post Office had barely delivered its first mail when Congress spawned another agency, US Customs — grossly ironic, given that tariffs and mercantilism had sparked the recent Revolution. But few other bureaucracies plagued the country until the despicable and thoroughly (dis)"Honest Abe" destroyed the railroads. When Lincoln rewarded his cronies in that burgeoning industry with immense tracts of land and equally immense subsidies for a transcontinental line, they stopped pleasing customers in favor of toadying to politicians. Within a few years, rates for shipping wheat were so high and abuse of passengers so egregious that the outcry afforded government an excuse to meddle even more. In 1887, it hatched the Interstate Commerce Commission — the first "modern" bureaucracy — and "delegated" to it power it didn't have. I'd like to suppose the skies darkened and lamps across the country flickered at this corruption and outrage. Nowhere does the Constitution grant Congress any authority whatever over transportation in general or railroads — and airlines  in particular. And it certainly never allows Congress to delegate its legislative power: in fact, Article 1, Section 8 insists that only Congress shall "make all Laws…necessary and proper for carrying into Execution…all other Powers vested by this Constitution…in any Department…"
But the Progressives then rising to cultural power and political office adored Leviathan. They portrayed the beast as mankind's nurturer and benefactor rather than the dire predator the Founding Fathers had feared. And they despised the Constitution leashing that beast as much as the "ordinary" Americans whose freedom it protected revered it. So rather than openly repealing the thing, Congressional Progressives worked around it by delegating more power they didn't have to more agencies. The Constitution purposely divides government's three functions — making laws, enforcing them, and judging those who break them — while seriously hampering the first. Legislating is slow and cumbersome precisely so that an exhaustive and exhausting legal system can't enslave us. And the division of power helps restrain the Feds. The Progressives deliberately overturned that. They sought to "streamline" government and make it more "efficient" by combining those separated functions in the most inefficient of all Rube Goldberg machines, the bureaucracy. And so "administrative law contains all the statutes, judicial decisions, and regulations that govern [bureaucracies]. It is the body of law created by administrative agencies to implement their powers and duties in the form of rules, regulations, orders, and decisions," says West’s Encyclopedia of American Law. Astounding, isn't it? Agencies write the laws that empower them to write laws. They set the rules of the game they play against us, enforce those rules, and judge us when we violate them in "administrative hearings." Meanwhile, a single agency in a day can churn out more laws — euphemized as "regulations"  than Congress can all year. Nor does that end the evil. Progressive courts have created a fallacious, profoundly anti-constitutional dichotomy to support the bureaucratic regime: they pretend that actions agencies pursue are administrative rather than criminal. Therefore, they allege that Constitutional prohibitions of such horrors as warrantless searches don't apply since the document protects us from overweening police power, not overweening government in general. Agencies, you see, are benevolent. The FDA secures us against filthy food and dangerous drugs; it's not trying to imprison anyone, goodness, no! Likewise, the TSA guarantees our safety on planes — and on trains, busses, ferries, and Tennessee's highways. It lacks punitive intentions; it's our friend. Ergo, we can trust bureaucrats and allow them wide discretion — though virtually anything they do, even pedophilia, is kosher so long as they claim it helps them fulfill their mandate from Congress. These presuppositions make the Bill of Rights completely irrelevant because it guards us from punitive government, whereas agencies are trying to protect, not punish, us. The fact that bureaucrats ruin lives, that people languish in prison thanks to "administrative" searches, is as irrelevant as our rights. Congress arrogated to itself the unconstitutional power of delegation while pronouncing bureaucracies beneficial, and clowns in gowns winked, so we overlook the inconvenient reality of political prisoners. These legal theories permeate and poison American government and jurisprudence. And though our grandparents muttered mutinously as the bureaucratic hold on them tightened in the 1920's and u201830's, there is no longer any juridical debate: Our Rulers long ago settled it to their satisfaction with the Administrative Procedures Act of 1946 (which supposedly curtailed agencies' control over us while actually increasing it) and other sops to the serfs. Continuing to call for Constitutional rights under the bureaucratic regime is like expecting Sabbath services in Bergen-Belsen. 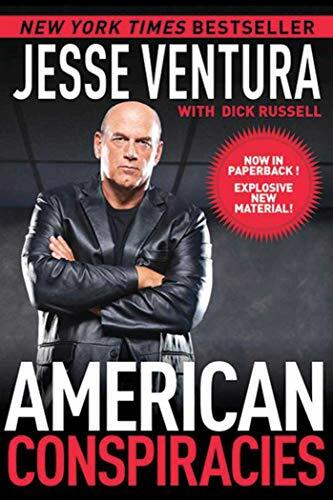 Mr. Ventura viscerally grasps this, as do most of us, even if we can't explain the "legal" maneuvers behind it; he mourned, "My case clearly shows that the Bill of Rights doesn't exist anymore. There's nowhere to go to remedy grievances. It's phony, a fraud. … I could have gotten equal justice in Cuba." Indeed. Progressives aren't the only authoritarians to recognize bureaucracies as the handiest tool for tyrannizing citizens. Communists, socialists, democrats, and fascists do, too. What would have happened had the court heard Mr. Ventura's case? The same thing that has happened in other, similar ones: it would have ruled in the TSA's favor, implicitly relying on Congress' delegation of power it never had — power that is virtually limitless under the administrative regime. The TSA can do as it pleases, providing it asserts such criminality helps it carry out Congress' mandate to "protect" transportation — and its perverts take care to constantly prattle just that preposterous justification. So long as we sue the TSA — or any bureaucracy — for violating our Constitutional freedoms, courts will rule against us and smirk while they do. The remedy for administrative law's totalitarianism lies in abolishing bureaucracies, not pleading with Our Rulers to defend us from them, pretty please.